Nate Whitsett uses raps, songs and chants to get students excited about learning. 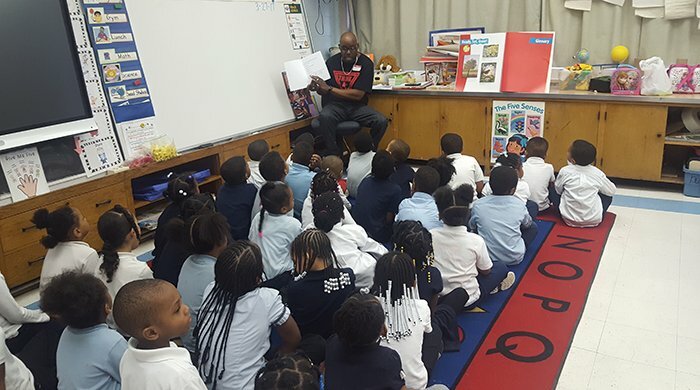 When Nate Whitsett taught elementary school students in metro Detroit, the notion of becoming a rap artist was not on his radar. Life, however, has a funny way of pointing you where you need to go. Whitsett recently resigned from teaching in the classroom and developed the “Think A+ Tour.” He travels the nation on a mission to impact change using rap as a tool to motivate and educate students. His message to district leaders, administrators, teachers and students is clear: It’s time for a change. The former elementary school teacher said he became disenchanted when his school asked him to follow a scripted classroom program. Struggling to spend several hours a day reading a script to his students, Whitsett had a lot to think about. He reached out to the school’s principal, seeking guidance, but her response only shaped his decision to leave. Whitsett’s “Think A+” song encourages students to think positively when the odds are against them. In “Take Heed,” Whitsett tells how as a child he hated reading and later found the value in gaining knowledge through reading. But it’s not all music and hip hop. Whitsett is also the author of “The Answer: Finding Purpose and Building Relationships in the Classroom.” The book follows Jameka, a student with major behavior problems who ultimately finds her purpose and talent with the help of her teacher, Mr. Whitsett. The book is a spinoff to his own story.